Letta Simon | The Y in Central Md. 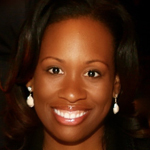 Letta Simon has been named senior vice president of early childhood development with the Y in Central Maryland. As the new “face and voice” of early childhood development at the Y, Simon will be responsible for the effectiveness and success of the association’s Head Start and pre-school strategy and operations. She will also provide strategic and thought leadership for all of the Y’s programming for children ages zero to five and represent the Y in a range of local, regional and national forums. Simon has an extensive career spanning early childhood education and youth development, with significant strategic operational and new business development positions. Prior to joining the Y, she held various leadership positions, most notably as the president and chief operating officer of Brightside Academy, where she led the expansion and operations of Head Start in three states, serving more than 1,900 children, in addition to providing leadership for 67 pre-school and school-age academies serving more than 8,000 children daily.